For many people, the New Year brings with it a renewed sense of opportunity. It is a time when many people are setting new goals for personal growth. 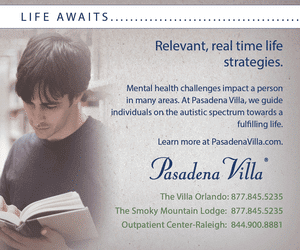 Setting goals is also a significant part of any good treatment program that is based on Applied Behavior Analysis (ABA). We set goals when we are deciding what to teach, whether it be a new social skill (e.g., Jen will learn to respond to a play invitation from a peer) or readiness to learn or academic skill for school (e.g., Jen will sit in a group of up to five children and attend to the teacher for five minutes, or Jen will count to 10 using a number line). 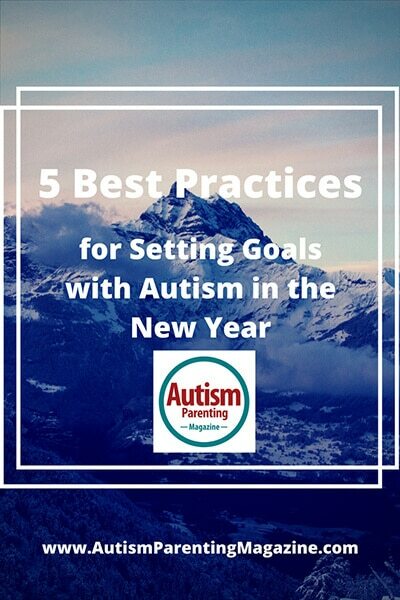 It turns out that there are some “best practices” on setting goals to teach a child with autism and that is what we wanted to share with you today. Often times when I am working with therapists, teachers or parents, there is a need to reduce some challenging behavior. For example, they might ask me to help them reduce a client’s aggression or tantrum behavior. It is really important that when you are working on developing a goal that it is framed in positive terms. Instead of saying “Andrew will no longer hit his friends,” you might say “Andrew will keep his hands down/to himself.” For more examples on how to do this can visit our blog on teaching morning routines. This is important because it makes it easier for us to measure and ensure that we are maximizing his/her learning potential! Sometimes we use language that is very subjective, that is, that could mean different things to different people. For example if I were to use a descriptor like “angry” it could mean different things depending on who is listening. For example, for one person, angry might involve some hitting or kicking, for someone else it might be a red face and yelling. This is critical because we want to be able to measure the goal that we are setting and we cannot measure something reliably, if it is not written in objective terms. 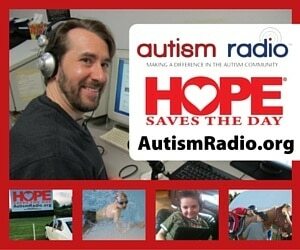 Whenever you are selecting goals to work on with your child with autism, it is important that they have the pre-requisite skills and that it is going to improve his/her quality of life. It is not a good idea to just arbitrarily select something that may seem like a good idea. You would want to individualize the goal to suit your unique child’s strengths, areas of need and of course his/her interests. Good questions to ask include: “Will this lead to more independence for my child?” “Will this goal help improve his/her quality of life?” “Will this goal lead to more learning for my child?” If you answer ‘yes’ to these questions, you have selected appropriately. Age appropriateness is always an important consideration. 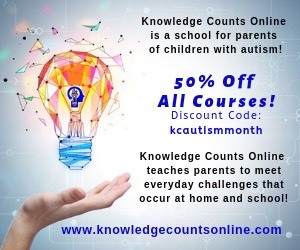 As we continue to teach new and important skills to our child with autism, we want to improve his or her odds of having successful social interactions with peers and others in the community. Teaching a 20-year-old to play with dolls may not be as important of a priority as teaching a 20-year-old to play an instrument. 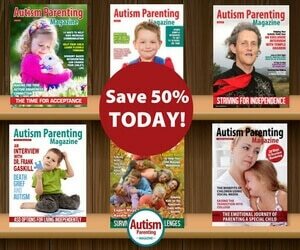 It goes without saying that when setting a goal to teach a child with autism, it is important to develop them based on that particular child’s unique strengths and areas of need. Of course you know your child/student best and your knowledge is critical when developing these goals. If you are struggling with setting goals, you could contact a local Board Certified Behavior Analyst (BCBA) to help you identify appropriate goals.